Here we are again. January 26. A day on which I am often tempted to engage with all kinds of ideas and questions and debates. Last year, I posted about some of the things that I have learned over the last couple of decades that have led me to think we need to #changethedate. But this year, through listening to some of my Aboriginal sisters and brothers I have learned it is so much more than that. 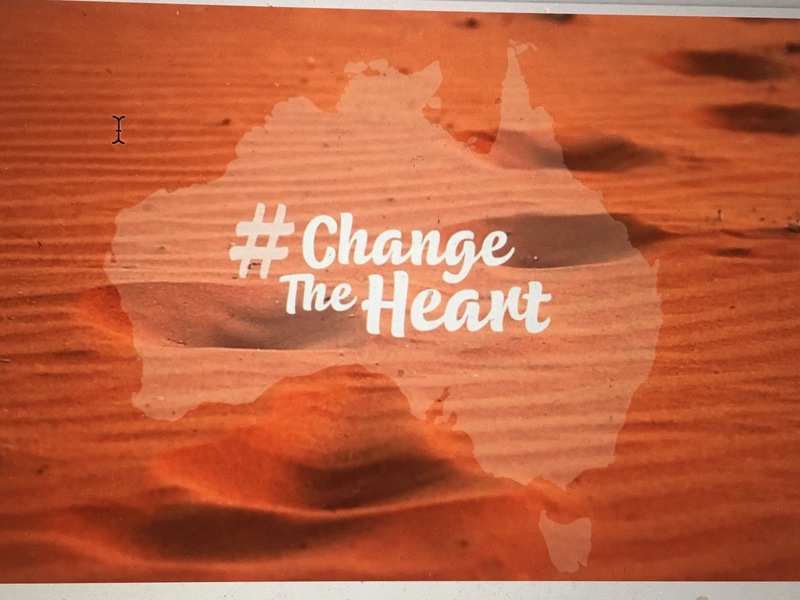 We need to #changetheheart in order to #changethenation. Because in terms of the big picture, the reality is that since this time last year, nothing has really changed. Australia still has the world’s largest life expectancy gap between indigenous and non-indigenous people. A Human Rights Report Card released this month gives us a dismal F-minus for progress on indigenous rights this year. And changing the date will not itself change these realities. Hearing again the statistics leads me to mourning and despair again. But I also know that my own heart has been softened, challenged, and broken further over this past year. And that is probably a good place to start. This year I’ve tried to open my eyes to see the First Nations people around me in my city, to appreciate what I have to learn from them and to be confronted with the suffering too many of them are enduring. While in Israel in April, what I saw challenged me to recognise myself as someone who lives on a land that is not my own, and to consider what it would mean in practice to identify myself this way. After coming home, I took some time to read through and reflect on the Uluru Statement from the Heart. How can I respond to its calls for truth telling and walking together? In June I was challenged to learn each day of National Reconciliation Week, hearing and sharing some of the horrific stories of the history of our nation’s response to our indigenous people. In October I had the privilege of standing side by side with Aboriginal Christian leader Brooke Prentis as our church accepted her hand of friendship as we continue to journey in listening to our Aboriginal sisters and brothers. This week I attended a service of Lament and Prayer and joined with indigenous and non-indigenous sisters and brothers in hope for a better future in this land. I don’t list these things to make it sound like I have achieved anything or arrived anywhere. Each of these have been simple and small steps, and I have still have so much to learn. But I want to keep challenging myself, and I want to challenge you, to keep taking steps of friendship and reconciliation. To let my heart and not just my head be impacted by what this day means for First Nations peoples and so to grow in understanding, respect and acknowledgment. These are the things that have been changing my heart and I hope there are more to come. What is changing yours? Thirty years ago today, I was a schoolgirl standing in the crowds around Sydney Harbour watching a re-enactment of the landing of the First Fleet 200 years before. I didn’t know then that at the same moment, the largest protest in Australia since the Vietnam War was happening just down the street. I didn’t know then that the Prime Minister was making a promise that day that there would be a treaty with our indigenous peoples within two years, a treaty that has still not eventuated, making Australia the only Commonwealth country without one. I didn’t know then that sixteen years earlier, a tent embassy had been established outside Parliament House as a response to our nation’s refusal to recognise the rights of our indigenous peoples. I had caught a glimpse of that tent while on a school excursion two years prior, but I certainly hadn’t been told what it was or had that story included in our introduction to our country’s (white) history. I didn’t know then that fifty years earlier, Aboriginal men had been locked up at the Redfern Police Barracks stable and then forced to be unwilling participants in an (inaccurate) re-enactment of the events of 150 years prior. I didn’t know then that the mortality rate of indigenous children in Australia is twice that of non-indigenous children, or that there is a life expectancy gap of between 10 and 17 years. I didn’t know then the words “stolen generations.” I had never heard them and would be horrified to discover what they mean. I didn’t know then a single Aboriginal person. I hadn’t heard their stories, been welcomed onto their lands, been embraced by their communities, sung together as sisters and brothers, learned from their incredibly rich and diverse cultures. And I didn’t know then that as well as my First Fleet ancestors whom I was taught to take such pride in, I have ancestors who participated in massacres of indigenous Australians. That this, too, is my history. I didn’t know then. But I know now. And now that I know, I can’t find today a day of celebration. Now that I have learned, I can’t pretend that this doesn’t affect me or touch my life. Now that I have listened, I can’t ignore the pain and hurt that has been shared with me by those who carry it. That’s why I believe it’s time to #changethedate. 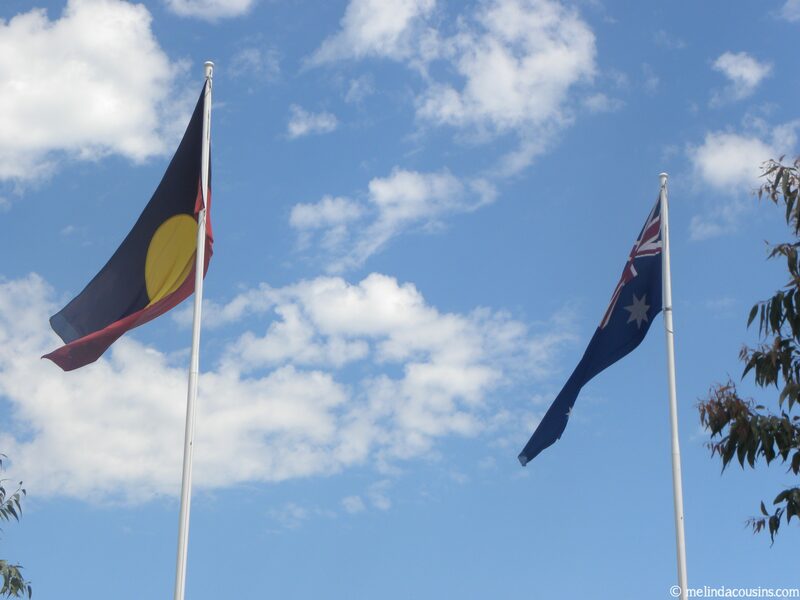 *Just to be clear, I do think 26 January should continue to be a day on which we acknowledge and remember the troubled history of this land and consider how we can work towards greater reconciliation and justice. But I think we should choose another day for our National Celebration Holiday. Over three years ago I blogged some of my current (at the time) book recommendations. I’m still reading lots, but I’m also finding myself listening to more podcasts recently, as well as having some interesting conversations with friends about podcasts they’re currently enjoying. While I’ve given in to the kindle, I still resist audio books because they are ‘just not the same’. Yet I recognise that I learn and engage differently by hearing than I do reading. Podcasts can be great for that space. I find them a good way of connecting various strands of my life and thought – faith, culture, politics, entertainment – by listening to interesting and inspiring people, both those like me and those very different from me. I think I came slightly late to the world of podcasts, although I know there are still plenty who haven’t yet engaged with the phenomenon. This is my current “Top 10” podcast list (in no particular order). I’d love to hear some recommendations from others as to what you’re listening to and why so please feel free to comment below! This was in some ways my introduction to the joy of podcasts and certainly the first podcast I was ‘in on’ from the start. I pretty much stumbled upon it, but listening to someone I find interesting having conversations with other interesting people about the big questions of life is inspiring, challenging, fascinating, and thought-provoking. Many of Wil Anderson’s guests see life and faith very differently to me, but as I learn about them I’m often learning about myself and my world as well. New episodes come out a bit sporadically (maybe once a month or so) and I tend to save these for a longer car or train journey. I think perhaps some of the earliest interviews were the best, but you never know whose ideas are going to resonate or provoke the most. I’m an ABC radio listener from way back, so have appreciated Richard Fidler’s ability to draw out stories of life from all kinds of people for many years – if I happened to be driving at the right time of day. Getting on to the podcast means I can listen when I choose, but given that this is 5 episodes a week, I tend to listen either if I’ve heard a snippet in the car and been intrigued, or I’m already interested in the person or their story. From Miroslav Volf to John Howard, to a woman whose husband went to gaol and a Saudi Arabian woman who dared to drive, Fidler always manages to draw out thoughts, emotions, and experiences that connect to my own life and easily transport me into walking in someone else’s shoes for a time. I love language, so British linguist Helen Zaltzman’s 20 minute podcasts exploring words is one I keep coming back to. Recent episodes on ‘indefinite hyperbolic numerals’ (i.e. the words zillion, squillion, and kajillion), the words we use for migrants (including how immigrant, refugee, and asylum seeker have become pejoratives used for the ‘other’ whereas ex-pat is solely reserved for those who look like us), and lexicography (what it’s like to write dictionaries) have not only expanded my vocabulary and my thinking, but continue to develop my own use of this beautiful, messy tongue we call English. I work in this discipline, plus I had the privilege of meeting one of the co-hosts when she was in Australia a couple of months ago, which got me started on a few episodes of Ed Stetzer and Lynn Cohick’s endeavour of relating theology to everyday issues. These run around the 20-30 minute mark and I’ve already found a couple I want to recommend to my students as they apply issues in biblical and theological studies in practical ways. I’m a bit newer to this podcast, whose followers are a bit of a self declared ‘cult’, and was introduced by a number of different friends. The audience appears to be made up predominantly of Australian women around my age and the basic agreement is that you listen to this because you think you would be good friends with Annabel Crabb and Leigh Sales if you met them in real life. Most of the time you’re just listening in on their conversation as these two intelligent and engaging women discuss what they’re reading, watching, cooking, and thinking about. Oh, and once you listen it’s pretty much obligatory to buy some saladas and make this thing called ‘crack’ at least once. As a preacher, there are numbers of podcasts that talk about the art of sermon preparation and delivery. This is one I have found useful so far, with interviews with a range of preachers providing great insights into different ways people go about this ancient and contemporary task. I have also really appreciated their desire to hear from a wide range of preachers – women and men, people from various cultural backgrounds and church contexts, and people working in a diverse range of communities. Episodes come out twice a month and there is a back catalogue I haven’t gone very far into, but the few I’ve listened to so far have contained helpful hints and moments of good ‘solidarity’ with others engaging in the same area of ministry. I have been listening to this on and off for many years, long before I even realised it fit the category ‘podcast’. A daily 10-15 minute reflection on a Scripture reading, this uses the Ignatian tradition to provide space for prayerful engagement with the text. I find engaging with different Christian traditions at different times helps enrich and renew my own spirituality and so this is one I regularly come back to in different seasons. While travelling around Europe earlier this year, I loved using these podcasts each day, taking time to sit in the pews of one of the cathedrals or ancient churches I was visiting and ‘tune out’ the tourist noises, reconnecting with God in those sacred spaces. Back home, I try to find my own ‘sacred space’ to make the most of these. While I have no illusions that I will ever be a comedian, I enjoy listening to them and have found that I get good insights from them about how to think and speak. This podcast is one comedian interviewing other comedians about what makes them tick and how they do what they do, which can be surprisingly poignant and moving. I’ve only listened to episodes with guests whose comedy I am already familiar with, but have found it insightful and entertaining and in particular good for listening to on long plane flights as long as you don’t mind the occasional odd look from fellow passengers if you do actually laugh out loud. I recently watched The Handmaid’s Tale and found it overwhelmingly beautiful, entirely compelling, and completely disturbing. Continued watching almost required finding people to debrief with and so I went looking for a podcast to hear what others were seeing and thinking. This was the best I came across. I found it a bit hit and miss (and I wondered whether Hrishi and Josh have ruined TV show podcasts for me by setting my expectations too high), but it did give me opportunities to work through my own reactions and responses to what I think was a significant contemporary series to engage with. So there you have it … another list that probably says more about me than I intended it to! What podcasts are you listening to and would you recommend?